Yesterday I was crunching around in the snow at the dog park. 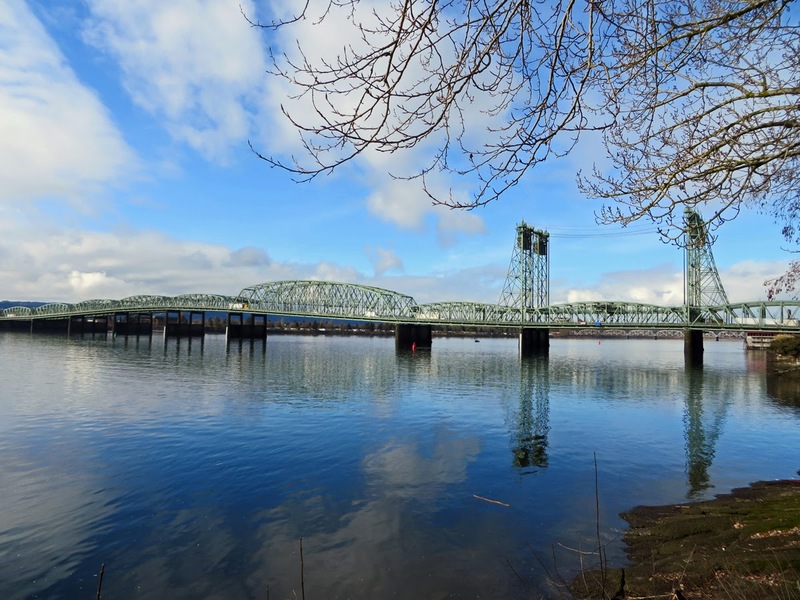 Today, as it inched over 50 degrees, I lazily walked the Columbia River Waterfront Trail. The sun came out and we stopped to look at some geese. I'll bet those geese were considering flying south a few days ago! 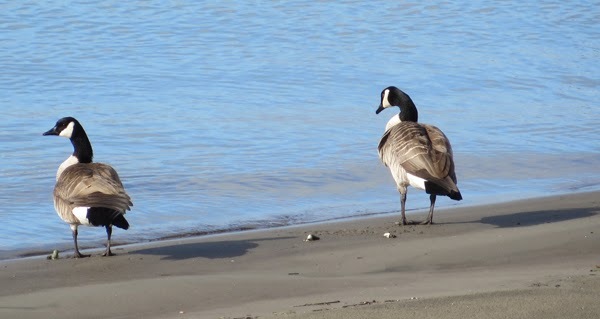 Here's the geese on the beach. I was too lazy to chase them. 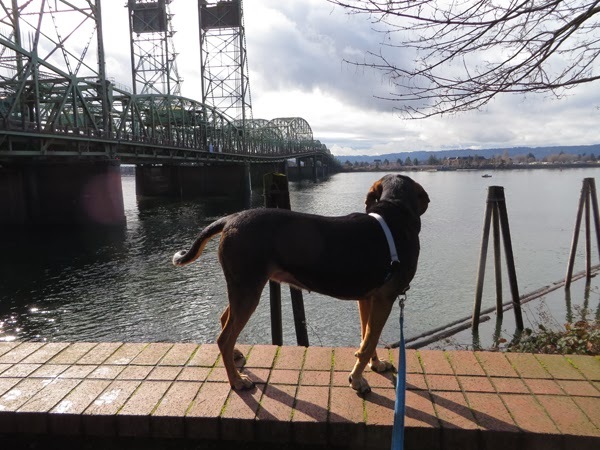 Then we walked along enjoying the barges and fishing boats on the Columbia River. When we got to the Red Lion at the Quay, I jumped up on the wall and just stood there soaking in the sun. (After all, I am a solar collection device!). Here I am basking in the sun. I didn't want to leave! When we walked past Husong and Larry's I smelled the food being cooked and got pretty hungry. But we didn't stop. We kept walking until we were back to the car. I was tired. I think I got over-heated! So I slept in the back all the way home! Looks like a fun walk! Who Says Dogs Don't Feel Guilty! Could I go on a hunt? Please? Tracking.... What's in the Woods? Another Gorgeous Hound is a PetBox Winner! Brush Prairie Dog Park: Meeting a "Party Poodle"
Cinnamon Gets a Gift: What is it?